Jessica O’Donnell, Biomorphic, 2018, featured in ARTEXPRESS 2019. 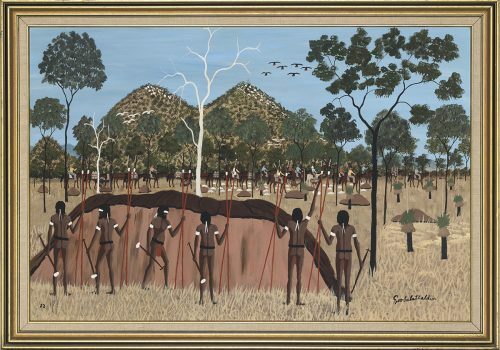 Image courtesy of the Art Gallery of New South Wales. 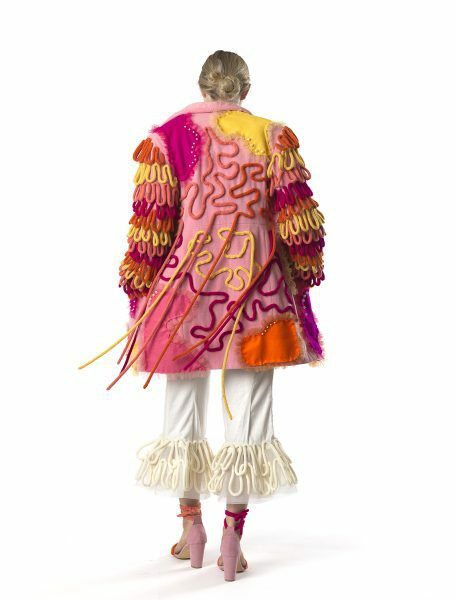 Isabel Unwin, Felt (past tense of ‘Feel’), 2018, recycled coat and pants, wool, felt tulle, beads, press studs, cotton thread 700.0 x 1750.0 x 350.0 mm Ballarat Grammar, Wendouree © Isabel Unwin. Featured in Top Arts 2019 at the National Gallery of Victoria. 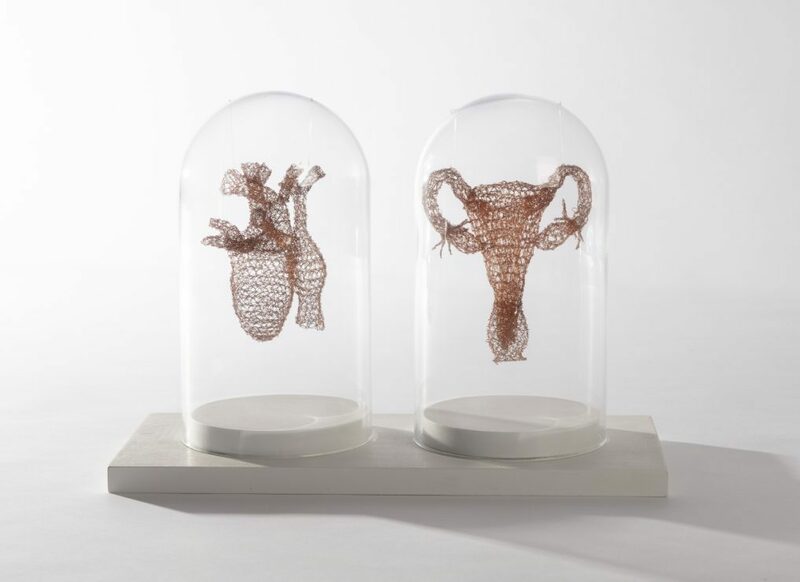 Lauren Hazelbroek, Knit me together in my mother’s womb, 2018, wire, wood, glass, fishing line, 28 x 39 x 18cm. Featured in Pulse Perspectives 2019 at the Art Gallery of Western Australia. Jack Strohfeldt, Evolution, 2018. Featured in Exit Art, at the Museum and Art Gallery of Northern Territory, 2019. 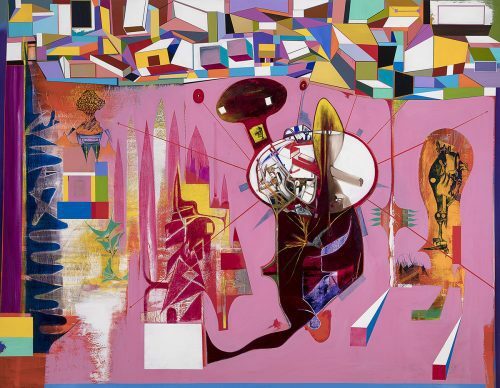 Aretha Brown, Time is on our side, you mob, 2018 gouache, pencil, synthetic polymer paint, fibre-tipped pens, spray paint and gloss spray 1105.0 x 1980.0 mm, Williamstown High School, Williamstown © Aretha Brown. Featured in Top Arts, 2019, at the National Gallery of Victoria. 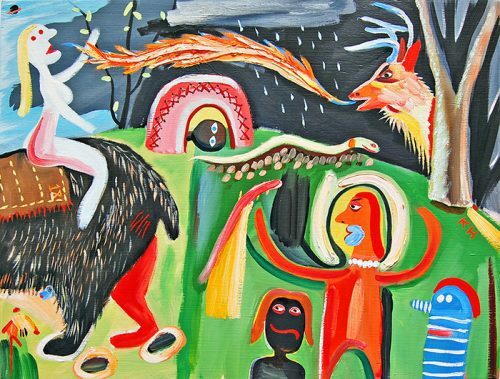 Terry Boots, Untitled, oil and acrylic on cardboard. Featured in Art Rage 2019 at the Queen Victoria Museum and Art Gallery, Tasmania. Far from being a clunky display of papier-mâché heads and oil paintings of flowers, the contemporary Year 12 art exhibition incorporates multiple artforms produced with impressive technical skill. Each state and territory in Australia hosts its own version of these exhibitions, and in the metropolitan centres the current range includes: Top Arts (Vic), ARTEXPRESS (NSW), Pulse Perspectives (WA), ArtRage (Tas), Exit Art (NT), SACE Art Show (SA), Step into the Limelight (ACT) and Creative Generation Excellence Awards in Visual Arts (Qld). Most continue on to tour regional galleries, while smaller art venues hold additional Year 12 art shows of their own. 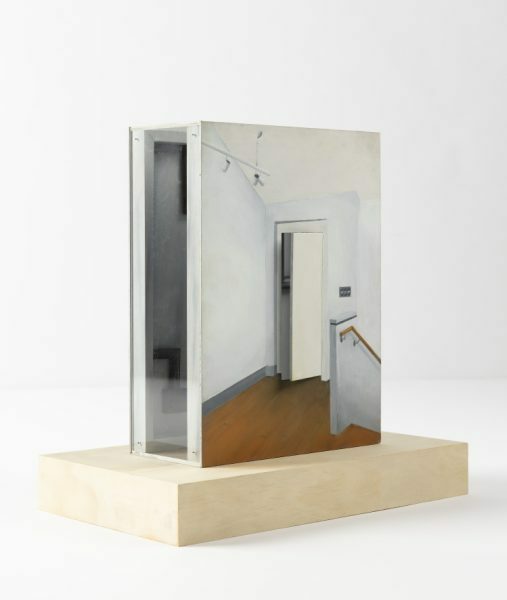 Julius Yu, Cavity, 2018, oil on board, painted wooden dowels, acrylic sheets, nails, plywood. Featured in Pulse Perspectives 2019 at the Art Gallery of Western Australia. Since their inception, the primary role of Year 12 art exhibitions has been to celebrate academic excellence and serve as an accessible educational tool for prospective high school art students. However, as a long running annual exhibition series, these student exhibitions are also a well-documented visual marker of nationwide social and political change, intimately engaging the current concerns of young people. 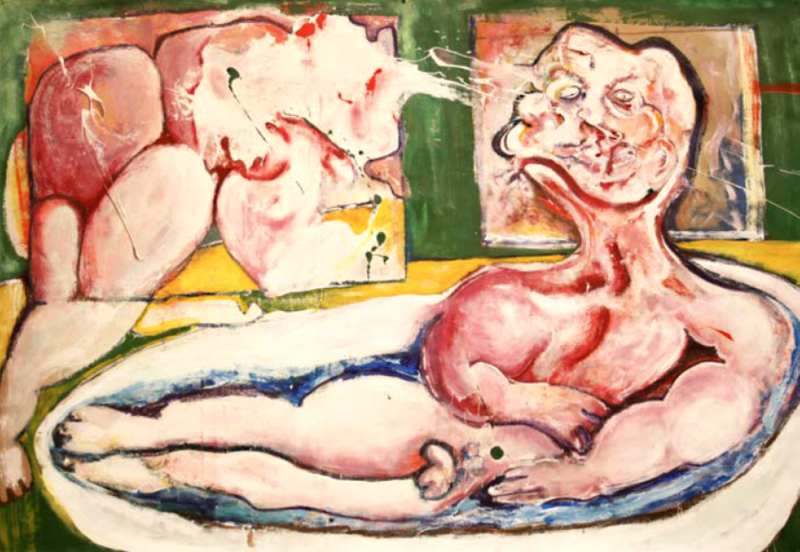 When asked if the topics young people were engaging with have changed since he began at the NGV, Menzies says, “Artists will always ponder the issues and concerns of their day. The perennial concern in Top Arts is the environment. Currently there’s a focus on climate change and one of the standout pieces reflecting this is by Ballarat Grammar student, Nicholas Gilbert. His work STORM, 2018, is a wearable piece of art made from tulle, polystyrene and chicken wire. 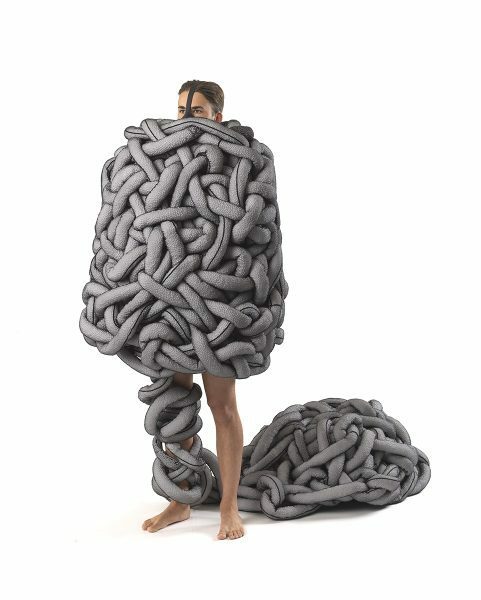 It looks like a tangle of grey tubes that hovers around his body and was designed to replicate the air flow of a hurricane to conceptualise how you can get caught up in the path of destruction.” Since his inclusion in Top Arts, Gilbert has been offered a place at the London College of Fashion where he will complete an undergraduate degree. Nicholas Gilbert, STORM, 2018, tulle, polystyrene balls, clear tubing, chicken wire, wood and smoke machine, 900.0 x 950.0 x 85.0 mm (body), 1200.0 x 1000.0 x 700.0 mm (tail), Ballarat Grammar, Wendouree © Nicholas Gilbert. Featured in Top Arts, 2019. As an incubator for the artists of tomorrow, a Year 12 art exhibition has been the starting point for several high-profile alumni, including painters Ben Quilty and Ash Keating; Anne Loxley, C3West senior curator at the Museum of Contemporary Art, Sydney; and Simone Douglas, now an associate professor at New York’s Parsons School of Art. Actively highlighting lifelong methods of best practice in ARTEXPRESS, Halpin believes an essential part of a student’s success is hard work and persistence. One of the ways Year 12 art exhibitions reveal the dedicated process involved in making a body of work is by integrating the student folio. Much like a diary, the folio follows a student’s journey through the year and is filled with detailed notes, sketches and visual records of how an artwork was conceived, developed and brought to fruition – clearly demonstrating good art doesn’t happen overnight. 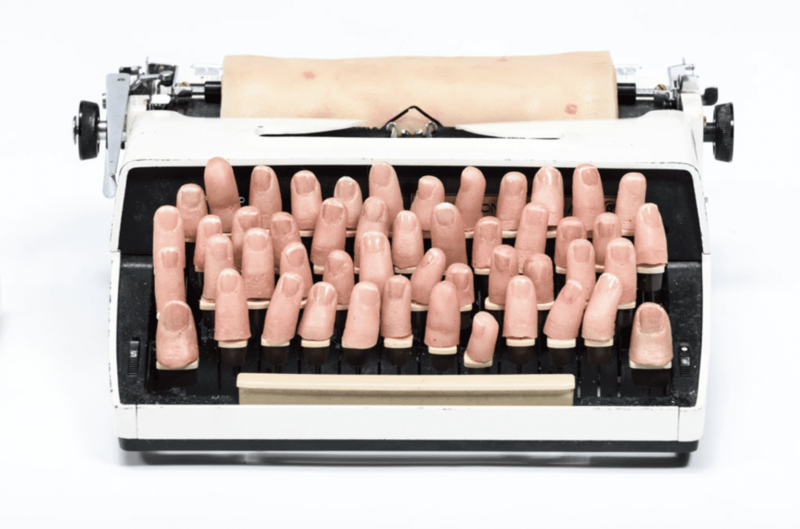 Jacinta D’Cunha, Dear sisters … in solidarity, 2018, featured in ARTEXPRESS, 2019. Immensely popular with gallery visitors and prospective art students, Year 12 art exhibitions are a major audience drawcard. Representing an impeccably high standard of work – as says Menzies says, “every piece in Top Arts comes from an A+ folio” – the cultural value of these exhibitions is clearly not confined to students. 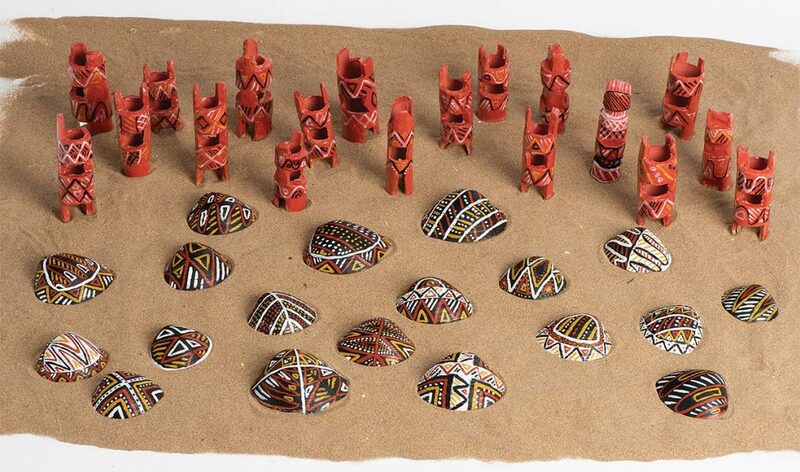 Joelle Kantila, Pukimani’s amitiya jukuwarringuwi, clay, 2018. Featured in Exit Art, at the Museum and Art Gallery of Northern Territory, 2019.